THIS HOME IS UNDER CONTRACT! Welcome to 3106 Wisteria Ln Bloomington, IL 61704! This home offers an outdoor paradise complimentary of an in-ground saltwater pool, multiple decks for lounging and entertaining, a patio, and a four seasons room ready for your hot tub. 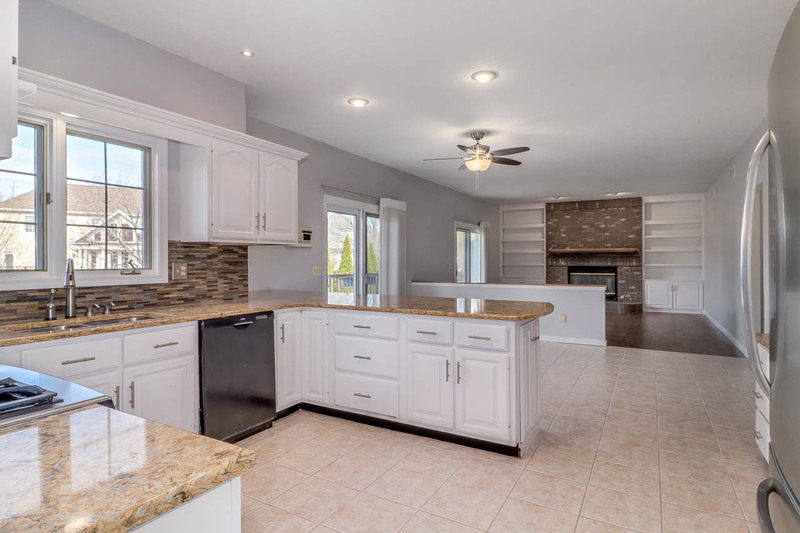 Inside you’ll find new carpet & paint on the first and second floor in 2017, an eat-in kitchen with mosaic backsplash, quartz counters, & stainless steel appliances, a brick fireplace with framing bookshelves, large formal living & dining rooms, and a half bath. The second floor at 3106 Wisteria holds FIVE bedrooms – including a hallway full bath, a master suite w/ large walk-in closet & dual vanity, and plenty of storage. Basement features a huge second family room (new carpet & paint 2015), possible 6th bedroom or office, and a walk-out to the 4 seasons room/backyard. Home is nicely located across from the neighborhood park & tennis courts. All pool mechanicals & elec cover fall ’16. New Trane Hi-Ef HVAC July ’17.